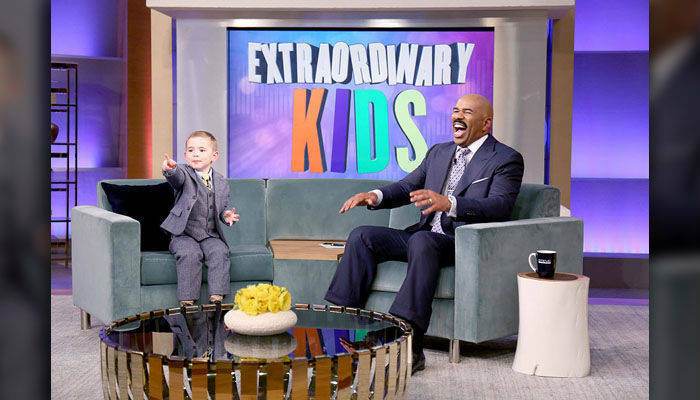 A 4-year old genius boy from North Carolina, USA, made his TV debut on Steve Harvey Show. Tommy Johnston can identify all 45 US Presidents by pictures and can identify biographical facts about each of them. Tommy is such a brilliant boy, very adorable & cute, smart and has good sense of humor. 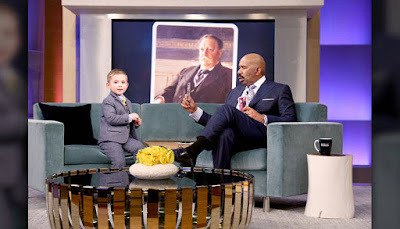 He is so funny when he said about his brother, "He doesn't share his girlfriend with me..." Can you imagine a 4-year old kid be interested and passionate about Politics and History? Steve gave a surprise gift to Tommy with his own miniature-sized presidential motorcade of Escalades. 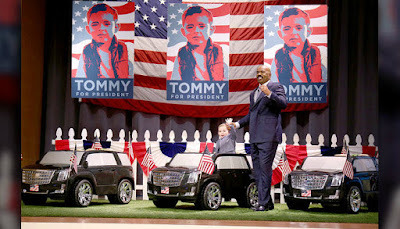 Tommy want to be the President of the United States of America. Vote for President Tommy!